$10,000 CASH GIVEAWAY SALE ON NOW! CMI Toyota’s annual Cash Giveaway sale is on now! Don't miss this opportunity for massive savings across new, demo and used vehicles… PLUS your chance to win $10,000 cash! There’s incredible deals on over 700 new, demo & used vehicles all priced to clear. Visit one of CMI Toyota's 3 big locations. But hurry! 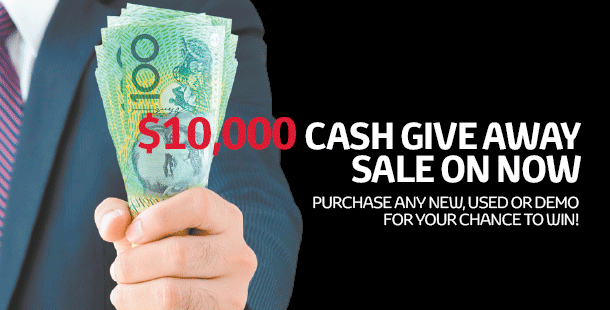 CMI Toyota's $10,000 Cash Giveaway sale must end 5pm Saturday 30th December. 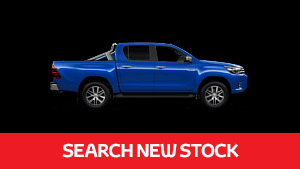 With South Australia's largest range of new Toyota vehicles in stock, we are bound to have exactly what you're after. Search our range today or contact one of our friendly team. 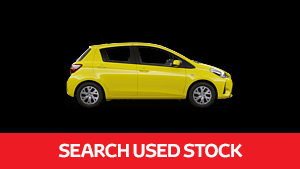 With over 200 used cars in stock, including South Australia's largest range of Toyota Certified Used vehicles, explore our range today or drop by one of our three big locations. 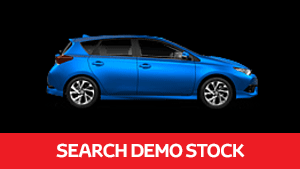 We offer South Australia's largest range of Toyota demonstrator models. Search the range today or contact one of our friendly sales consultants. Don't miss out! 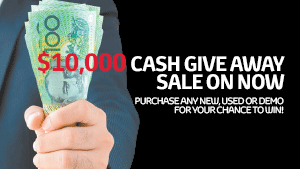 Purchase any new, used or demo vehicle before Saturday 30th December and you're automatically in the draw to win $10,000 cash! Promotion starts 9am Wednesday 27th December and ends 5.00pm, Saturday 30th December 2017. All entrants who place their order and pay their deposit by 5pm on 30th December 2017 for any new, demo or used vehicle from CMI Toyota West Tce, CMI Toyota, Christies Beach or CMI Toyota, Cheltenham will also be entered into the major draw of $10,000. Entrants must also provide final payment and take delivery of the vehicle to claim any prize. Fleet and Government buyers excluded. The major barrel draw of $10,000 will be heldat CMI Toyota, 152 West Terrace, Adelaide at 5.30pm 30.12.17. Promoter is Commercial Motor Industries Pty Ltd. 152 West Tce Adelaide ABN 56 007 526 963. Winners will be notified in writing and published in The Advertiser Public Notices section 05/01/18. One winner will be drawn for the $10,000 cash prize. SA Lottery Licence T17/2197.